The last news about Yes Man. Jim Carrey is back in a great comedy. Watch the trailer soon. --> Much more after this Jump! 'Yes' and 'no' should be used with balance in life. That's what one may conclude from watching Yes Man, upcoming comedy starring Jim Carrey. 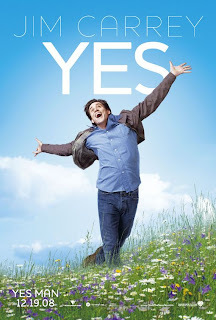 My young son, who is 7 years old, is going through a 'no' period since a few days: I wish this movie was in theater right now, then I would bring my son to see Yes Man to teach him a lesson. Yeap, I strongly believe that one can learn even from a comedy starring Jim Carrey! 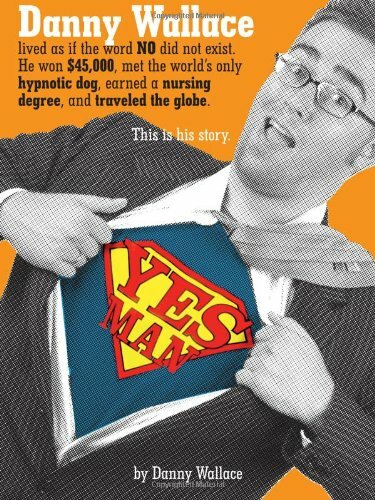 The true story and 2005 novel 'Yes Man' by British humorist Danny Wallace has been adapted to the cinema. The upcoming comedy movie, titled Yes Man, is directed by Peyton Reed and is starring Jim Carrey. Yes is the new No! This definitely look like a Jim Carrey movie: facial gestures and easy jokes by Jim Carrey will genuinely delight the fans of this funny comedy genre. How many do you say No in a day? And ho many times Yes? Is there a balance? Or are you skewed? 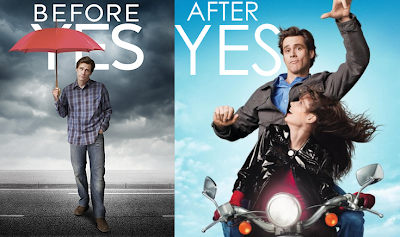 This poster really epitomizes Jim Carrey's cheerful personality: he is the Yes man! In Yes Man Jim Carrey is crazy as usual, but not in vain: Yes man looks really funny! Jim Carrey is brave to bungee jump off a bridge in Pasadena, California. Well shall see when the movie is released! Jim Carrey whose career was kind of ailing may back to a higher level with Yes Man. The movie is adapted from humorist Danny Wallace's book of the same name which was published in July 2005. In his book Wallace describes how he spent six months "saying Yes where once would have said No": the book shows the tribulations and mischief that he got up to while he said yes to any question or proposal. The film adapted from the book is directed by Peyton Reed and stars Jim Carrey and should be released in December 2008. "A man (Jim Carrey) decides to say yes to everything that comes his way in his life, leading to a series of comedic events." Let's hope this movie will mean the real comeback of Jim Carrey on the comedy scene. Well, let's hope we'll have pictures more funny soon.